Over the past year or so, I've been hearing a lot about Nando's PERi-PERi which debuted in the Chicago area in the spring of 2015 and now operates 11 restaurants in Chicagoland. So, I couldn't pass up the opportunity to visit their newest restaurant in Hyde Park when it opened January 14. 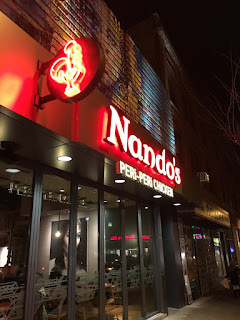 The first Nando's restaurant opened its doors in 1987 in Johannesburg, South Africa. 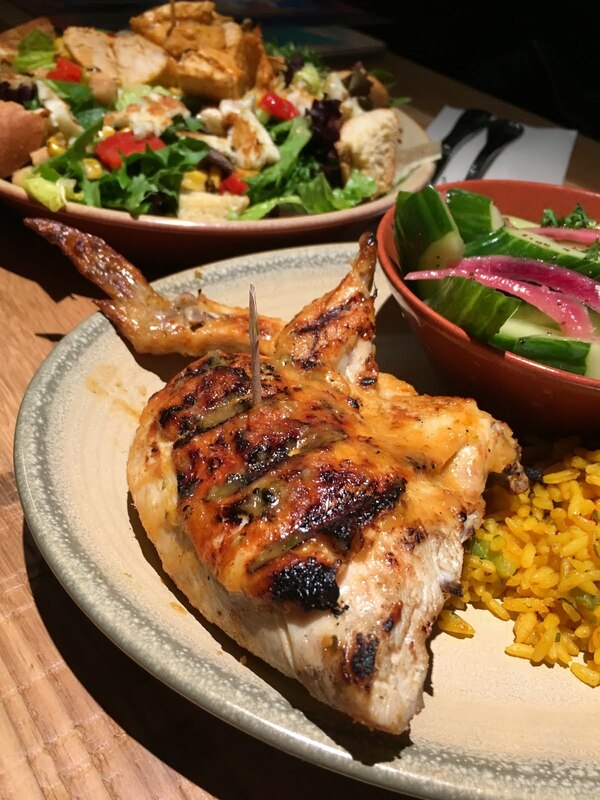 Since then, Nando's has opened 1,200 restaurants in 23 countries on five continents. The chain is known worldwide for its flame-grilled PERi-PERi chicken, which is marinated for 24 hours and its eclectic decor featuring artistic pieces from South Africa with no two stores decorated the same. Nando's opened its first U.S. location in Washington D.C. in 2008. 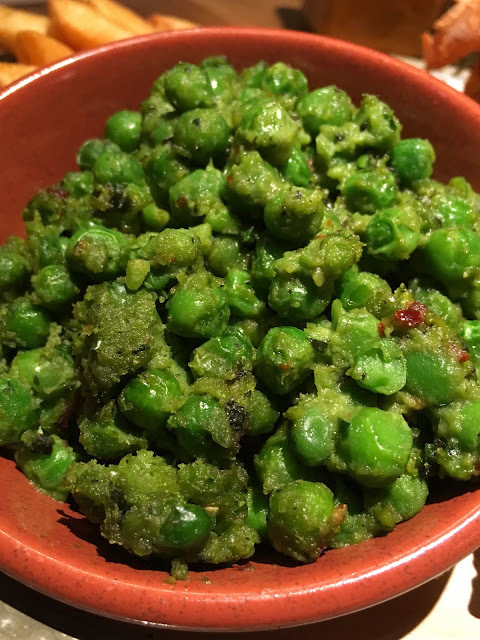 Although it originated in South Africa, the menu includes Portuguese cuisine, which I had never tried before. As we arrived to to get a taste we were greeted by a student of nearby Kenwood Academy, one of the highest ranking public schools in the city, who let us know that every purchase that day would benefit the school. With a line out the door, we knew it would be a profitable event for a great cause. 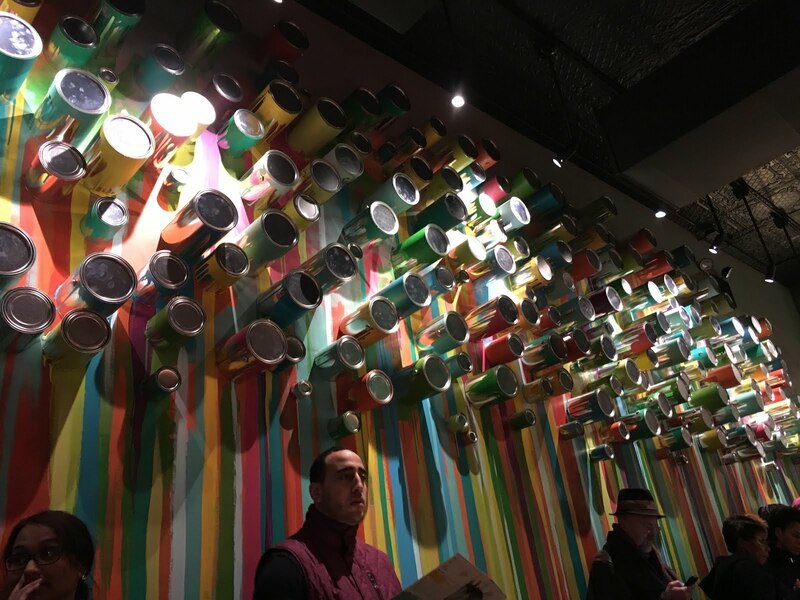 Nando's, which has traditionally been a big supporter when they join a new community, donated 100 percent of opening day sales to the school - a total of $11,020. It's so wonderful when food can bring people together and do good and this is a shining example of that. 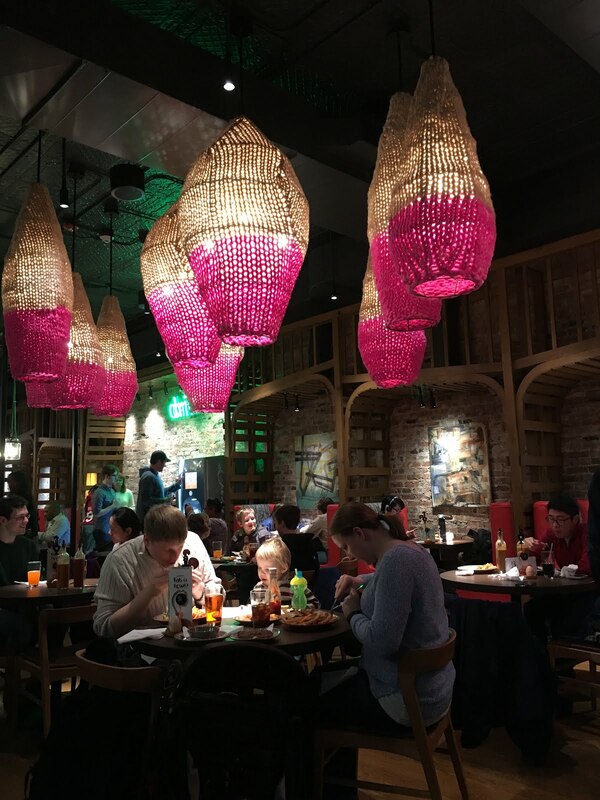 Nando's Hyde Park location is lively and colorful and a place where you don't just eat - you have an experience. The staff was extremely jubilant and friendly despite the demand's of the day's big crowds. I couldn't wait to see if the food lived up to the hype. I'm happy to report that it was fabulously unique and exceeded expectations. Talk about chicken that melts in your mouth. My dining partner for the evening, my good friend, Michelle, and I have sent each other several random texts over the past week and a half (at crazy times of day and night) talking about how we want more of that chicken. We seriously haven't stopped thinking about it. 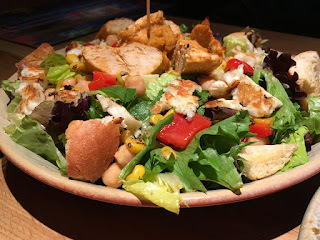 Aside from a chicken breast meal - with a cucumber and poppy seed salad and Portuguese rice sides - we also tried the country salad (with roasted red pepper, grilled corn, chickpeas, croutons and Halloumi cheese over greens) and a chicken thigh sandwich with a side of Macho peas (spicy pea mash) and PERi-chips (fries.) Everything was bursting with flavor and I am so stoked about trying more of the menu items (the braised Brussels sprouts sound awesome as do several of the wraps.) 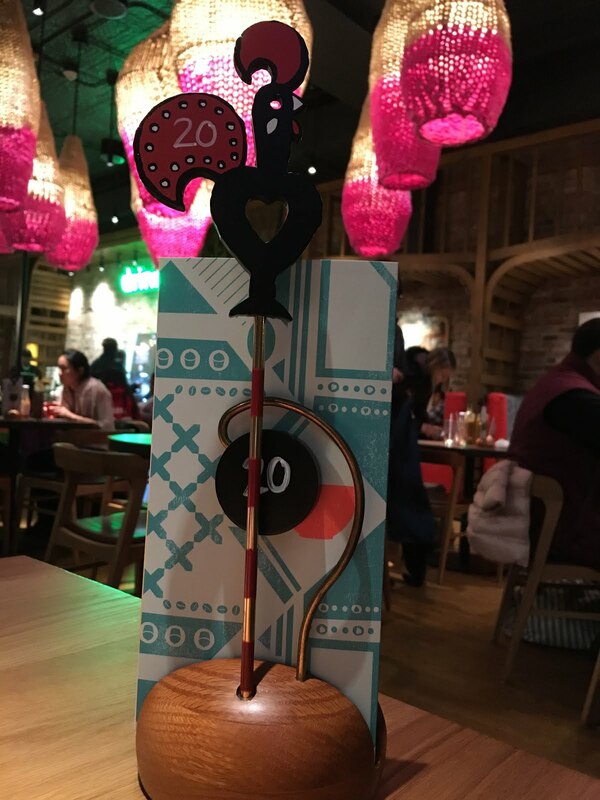 While many restaurants dabble in many different meats and entrees, Nando's does one thing - chicken - and they do it oh, so well! There are also a number of tempting desserts to choose from, which seem to come in reasonable size portions (who can eat a 14-ounce slice of cake after indulging in a full meal?) 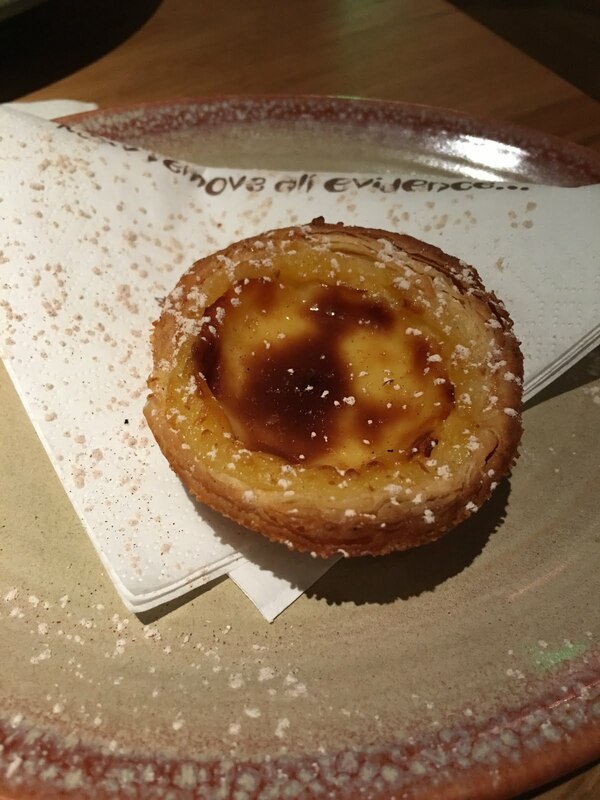 and I was so glad I had a little bit of room left to try the Naughty Natas - a traditional Portuguese tart, sprinkled with cinnamon sugar. It was a tasty little custard treat that was a phenomenal finish for our evening. 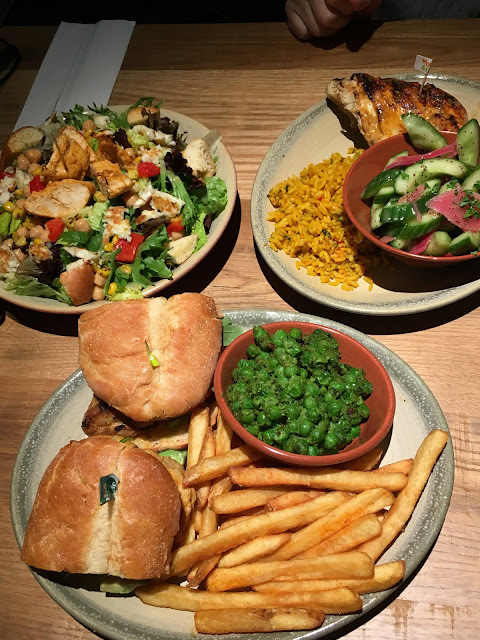 Nando's is a casual spot where you can count on getting your meal quickly, but it's far from what you'd classify as fast food. Once you head in, you get a cute little painted chicken with a number on it that designates your table. 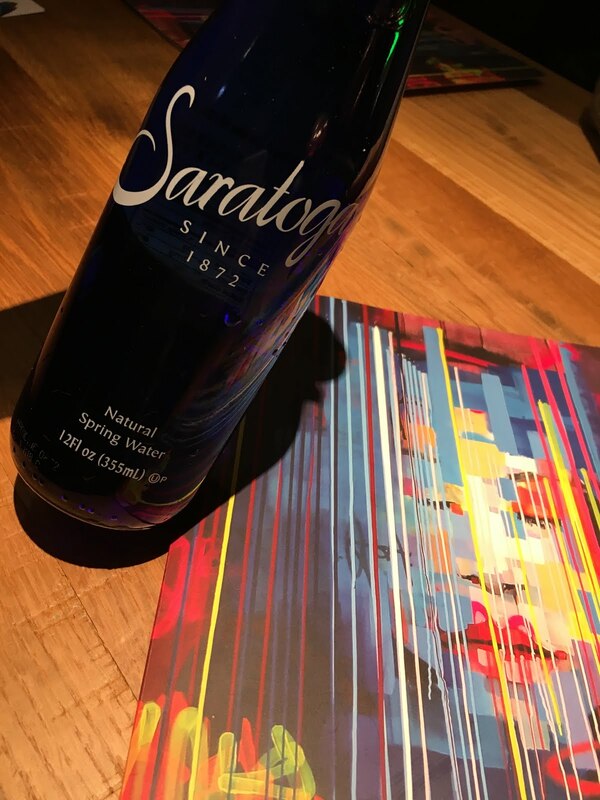 You order at the counter and your order is made fresh and brought out within minutes, so there's no lag or delay in waiting for a server's availability or waiting for your check and it's a great spot to get a meal fairly quickly that is miles above what you'd grab at a drive-thru of fast food spot. All chicken should be this juicy and every fast casual experience should be this amazing. The Hyde Park store is located at 1447 E. 53rd Street. 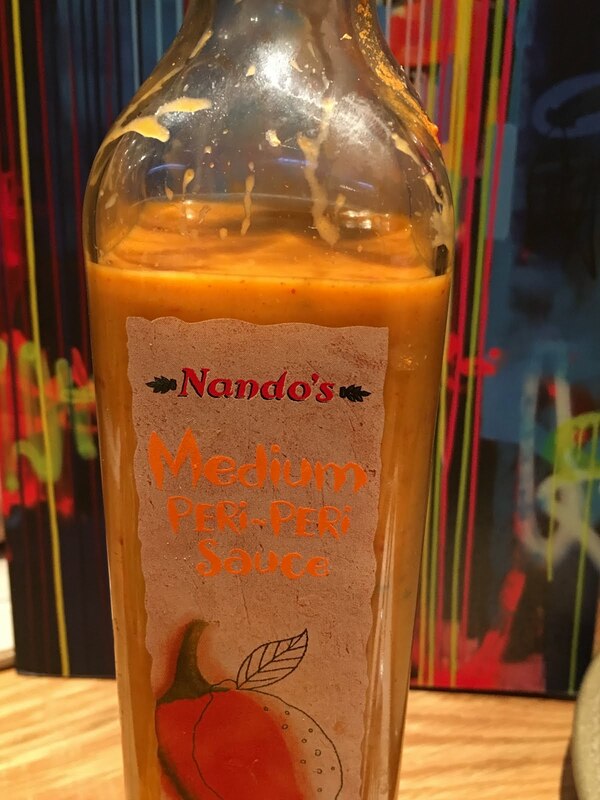 For more information, please visit www.nandosperiperi.com, follow @NandosUSA on Twitter or Like Us at Nando's PERi-PERi USA on Facebook.